A premium Lumia phone… can it really be? 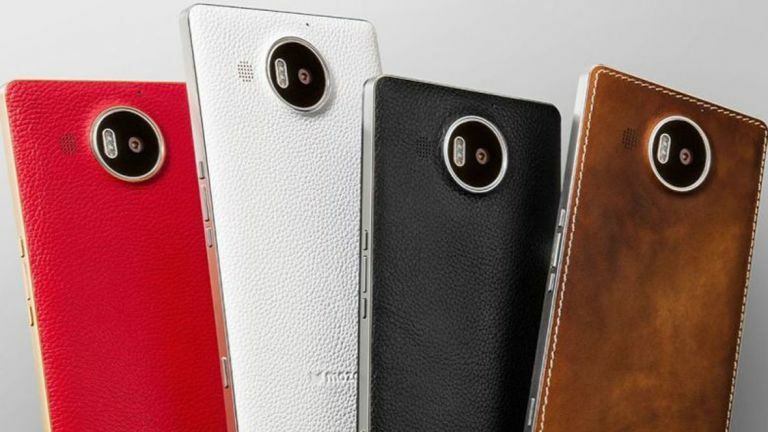 The Lumia range isn't exactly known for its premium good looks, but if you grab one of these leather covers for the Lumia 950 and Lumia 950 XL you may change your mind. These new covers from Mozo make the phones look gorgeous – and pre-orders are up now so you can get yourself a sleek-looking leather case. A lot of the covers are already sold out though, so there's not much choice whether you're planning on getting a Lumia 950 or a Lumia 950 XL. Colour choices are white, black, brown and red for both models and each is almost already sold out – deliveries for those which aren't sold out is on November 16. We quite like the look of the Lumia 950 and Lumia 950 XL. These are the first flagship devices from Microsoft and the spec list is looking impressive.These leather cases won't stop you from using the NFC or Qi wireless charging features either as they're designed to work with the phones. As for when the Lumia 950 and Lumia 950 XL will be released it's all a little unclear right now and we're looking to Microsoft for word of an actual release date.